Last night, the Washington All-State Band and All-State Orchestra played their annual concert, sponsored by the Washington Music Educators Association (WMEA), at Benaroya Hall in downtown Seattle. I was not there. I wanted to be there. Someday, I want to go see and hear one of my trumpet students play on the concert stage in the Washington All-State Band or All-State Orchestra. Who will it be? the Northshore School District. Equally packed were the stands, overflowing into standing-room-only spaces for the many relatives and friends in attendance. And outside in the rain, their cars crammed into every feasible space in the school lots and out along the streets of the surrounding neighborhood for blocks. This was a big deal! 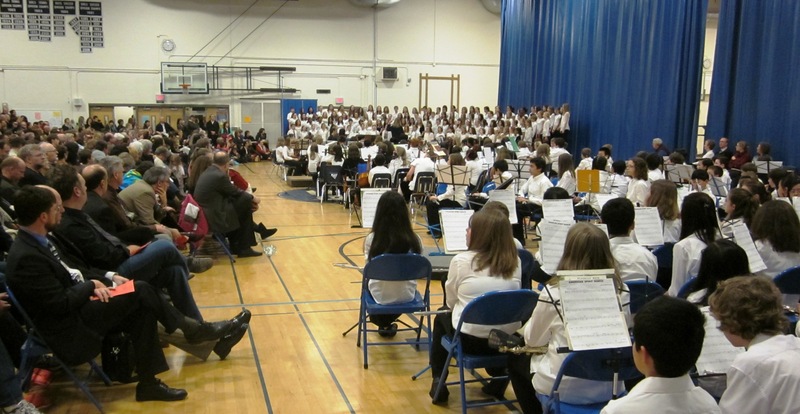 I attended because I teach some of the kids in the 105-member Honors Band. I am an Instructional Assistant to Mr. Shawn McGinn, band director at Skyview Junior High (see my blog post, “Glenn Now Teaches Brass…,” 6 September 2010). On Mondays, I teach the trumpeters and trombonists of the 2nd-year elementary band, and on Fridays, I conduct that entire band. 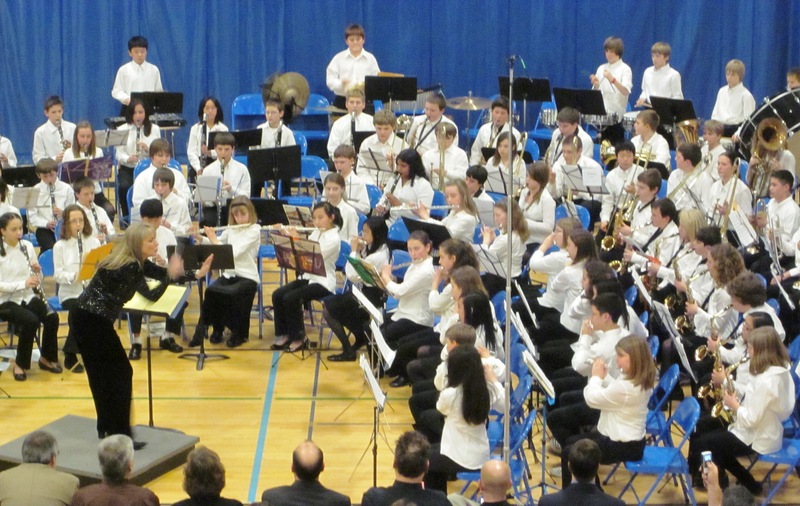 From Mr. McGinn’s band program, 15 students were selected for Honors Band. Of these, there were three flutists, four clarinetists, one bass clarinetist, one percussionist, two trombonists, and four trumpeters. They come from either Canyon Creek, Crystal Springs, or Fernwood elementary schools. I’m so proud of them all. Janie McDavid conducted the Honors Band. She currently teaches elementary instrumental music at Kenmore Junior High and Meridian Park and Echo Lake elementary schools. She led the band in three selections which ended the concert: “American Spirit March,” “The Tempest,” and “Eye of the Tiger.” Outstanding! has ADD (Attention Deficit Disorder). It’s easy for her attention to drift from one thing to the next, and it’s hard to stay focused on something for a long time. 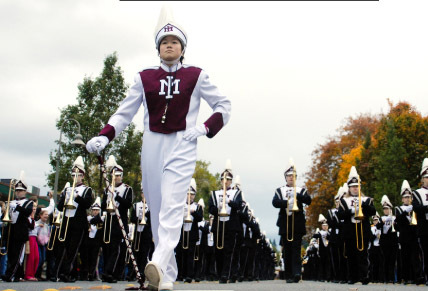 She first learned to read music and play trumpet when she was a young girl, but then she transferred to another school and did not play for three years. To her dismay, when she returned to school at M.I. and resumed playing trumpet in the band, she found that she had forgotten much of what she’d once known about how to read music. Now she manages to play ok but wants to improve. Marching band season is over, she’s moved into concert band, the music is more complex and difficult, and she wants to play it well. She realized she must return to the basics and re-study the fundamentals…with a trumpet tutor. I am the lucky man who is privileged to help her. We started her private lessons on 18 December 2010. She already plays with such a sweet, solid tone. Now all we need to do is help her learn all those notes over a two-octave range, learn all those music notations, strengthen and train her embouchure, and develop her hand-to-eye coordination and muscle memory. As that happens, her confidence and pride will soar. She will play as well as, or better than, most of her classmates. And, in turn, she will enjoy music and her band membership even more! She says she had a great time when the 300-member MIHS band went to England a month ago to march in the colossal 2011 London New Year’s Day Parade (see www.londonparade.co.uk), joining some 10,000 performers from 20 countries who marched in front of about half a million spectators along the 2-mile route. The parade, which began in 1987, is broadcast by over 700 TV stations worldwide and is watched for some three hours by about 200 million viewers. This was the M.I. band’s first appearance in this, the 25th annual parade. Roughly 200 M.I. band students made the trip. The kids and community raised about $80,000 in support of those students who could not otherwise have gone. Go to the links below to watch videos of the MIHS band’s performance in London. Other USA bands participating came from Arizona, California, Florida, Illinois, Kansas, Michigan, and Wisconsin. 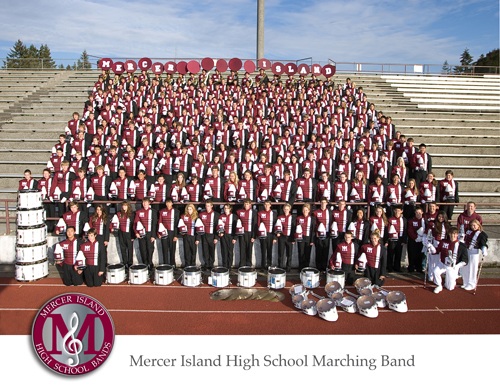 Almost one out of every four students in Mercer Island High School is enrolled in the band program! 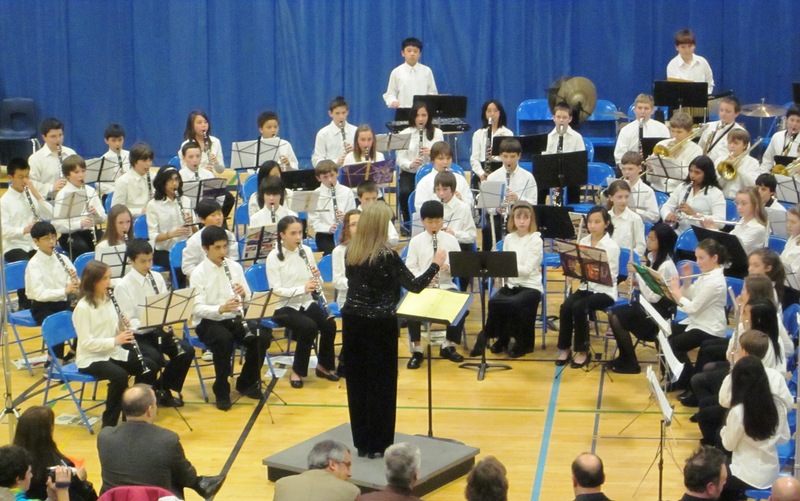 The program consists of four concerts bands, the marching band, jazz bands, and the “Animal Band” (see http://www.misd.k12.wa.us/schools/hs/hsband/bands.html). 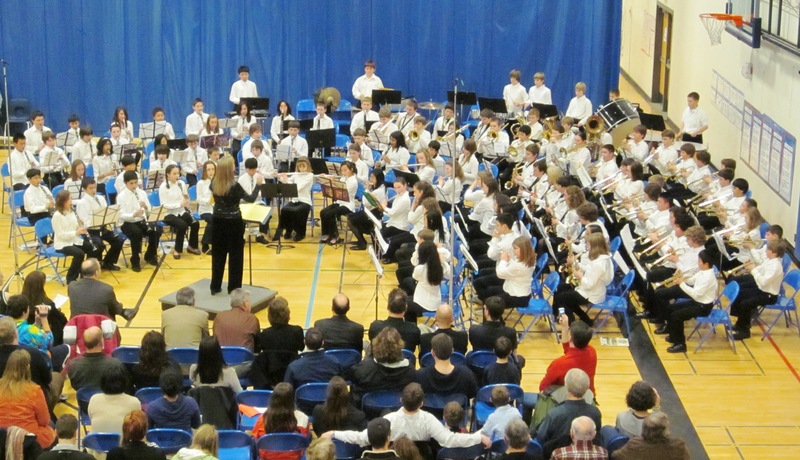 The successes, awards and accolades won by these bands are numerous; for example, over 50 students were selected to participate in the All-State and All-Northwest honor ensembles during the last five years.